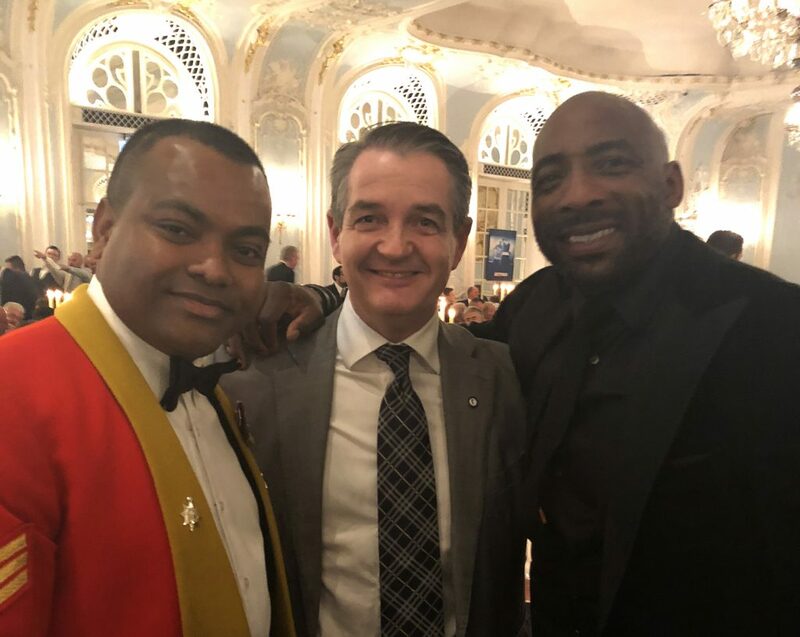 On Monday 8th October 2018 Ewing Law was privileged to host a table at this year’s Boxing Writer’s Club’s Awards dinner, held at The Savoy Hotel in London. At over 100 years old, The Boxing Writer’s Club is the sport’s oldest association and its awards are the crown jewel in the British boxing calendar. We are particularly proud, then, that for the second year running Ewing Law were the only ‘non-boxing’ organisation invited to host a table of its own. 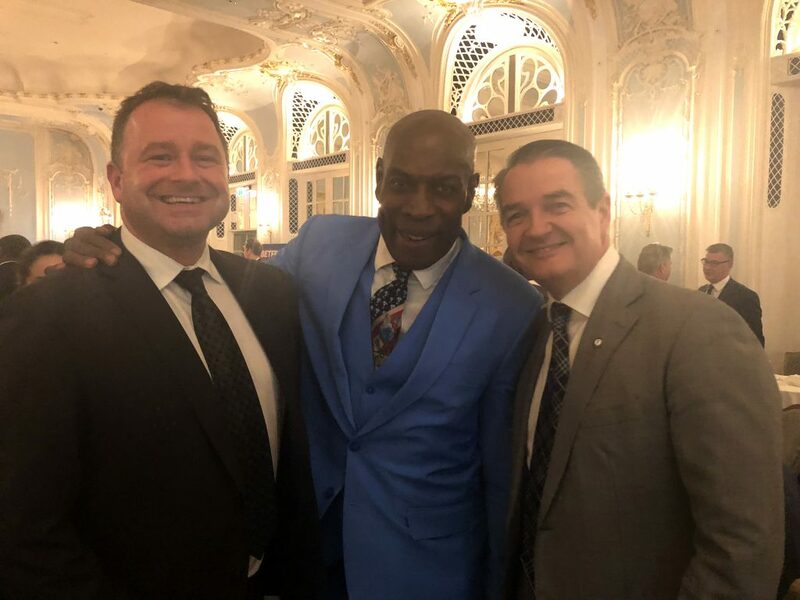 Along with Scott Ewing, Tony Wyatt and Tony Vieira, our guests spent the night mingling with heroes and legends of the British ring in a night they will never forget. And to cap it all, Scott Ewing was personally named in the Roll Call of Honour – usually reserved for the many champions in the room – for his unending legal services to boxing and to boxers. It was a truly amazing night. 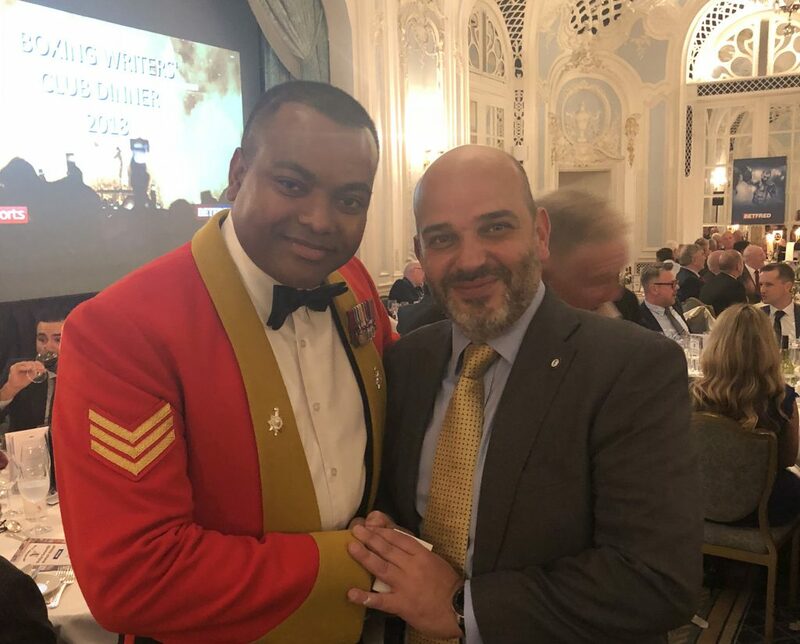 Tony Vieira with Victoria Cross holder Johnson Beharry VC.